Island Point Interiors is a Port Douglas based studio offering a complete interior design service for residential and commercial projects. Innovating client aspiration within the joys and rigours of a tropical climate are challenges Island Point Interiors have more than 20 year experience working with. From considering the silky impression of a bed cover, to gentle lighting in a rainforest spa, to ensuring durability in poolside furniture, to effective spatial planning in a restaurant dining room, Island Point Interiors are respected for their careful expertise in every detail of their projects. Welcome to Vanilla Rose Interiors! I offer a unique interior E-Design service that suits any budget and location, where you are kept in control of the DIY decorating process based on professional advice and designs. I create beautiful, fresh, modern and elegant spaces that incorporate flower styling and fragrance recommendations, co-ordinating with your personal design concept and the fundamental principles of interior design. Do you love DIY but need a little help discovering your design style? Re-decorating? Colour schemes? Then I can help... Simply select from one of my affordable flat rate 'E-Design Packages'. Let me do the design work for you creating your dream space while also helping you to realise your individual design aspirations. DREAM it, DESIGN it, DECORATE it! Port Douglas Interiors and Landscape Design offer a comprehensive design service for both interiors and landscapes. Kaye - an Interior Designer & Decorator, along with Wayne - a Horticulturalist, have over 27 years of experience refurbishing, renovating and decorating residential properties, commercial developments and water vessels - inside and out! I believe that simplicity is the ultimate sophistication and this is how I will base my business branding. My vision is to create a personalised, comfortable, functional and beautiful space that represents individual personal styles. Driven by the pursuit of perfection and with attention to detail, no two spaces will be the same. I came up with the name, “A Piece of Brie”, as I wanted the business to be personal and not sound like a giant corporation. Having my name within the business name, clients will feel more comfortable and as I love interior design and am very passionate about my work I want to leave a little piece of me in all my projects. 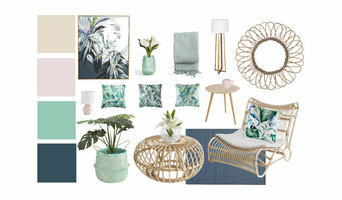 A home harmony decorating ideas and decluttering to bring simplicity into the home with style and a beachy at home feel. My husband, Davide, and I are both passionate designers and photographers. We love to take a house and turn it into a home, a dull space and add atmosphere. We are all about DIY-ing, upcycle-ing and creating! 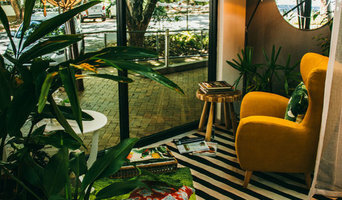 On occasion, interior designers in Cairns, Queensland will need to subcontract help from other Cairns, Queensland professionals to help create the perfect look for your home renovation. These may be specialist installers or interior decorators like kitchen designers, architects or landscape contractors. Start by asking yourself what you want your space to become and how it will be used. List your must-haves and decide on your budget. Interior design services can add up fast, so be upfront with potential interior designers from the beginning. Also, pick a designer in Cairns, Queensland that fits your style. Browse through their interior design portfolio on Houzz and ask yourself if you’d live in any of those houses. If the rooms inspire you, take note of what elements you appreciate. 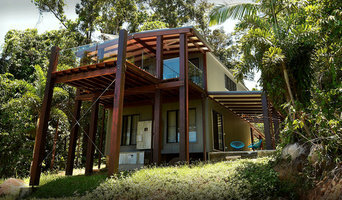 Find residential Cairns, Queensland interior designers on Houzz. Scroll through this page to find interior designers in your area. Then, browse their design portfolios to see how their work compares to the scope of your project. You can read reviews to see how other homeowners rate their work, and message them directly to to ask any specific questions.